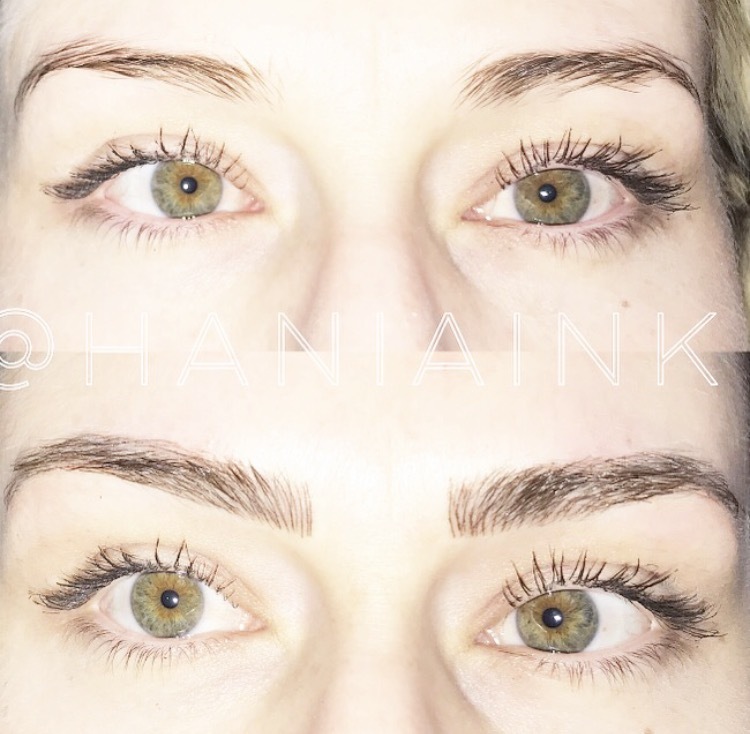 I recently had the pleasure of getting my brows done by the lovely Hania, of Hania Ink Eyebrow Embroidery. This is something I have been wanting to do for YEARS, and I am SO glad I finally did it. Her expertise and final product will save me hours every morning. I literally used to spend 15-20 minutes every day filling in my brows, and now I can wake up and go. As a busy mom, this was the best time-saving service I could have possibly invested in. Hania is located in the Vancouver suburb of Port Coquitlam, BC. She grew up in the area and discovered her passion for microblading in December of 2016, after graduating from Lash Forever Canada. Next, Hania washed my brows off and began filling in the shape with her wax pencil. 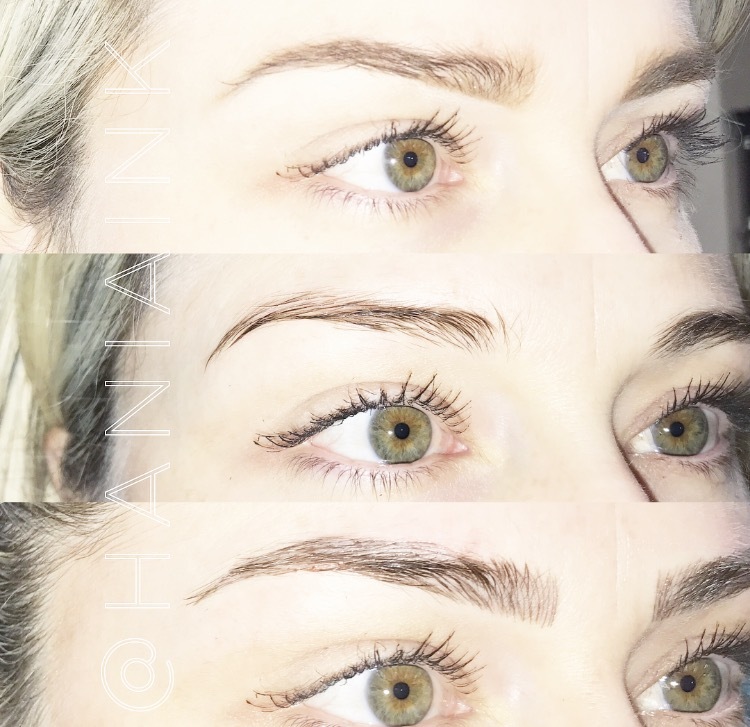 This part of the processes was the longest, because she is a perfectionist and doesn't quit until the shape of both brows are perfect. I did not mind one bit. When someone is doing something semi-permanent to your face, I expect them to be a perfectionist. Once we were both ecstatic about the shape, it was time to figure out the perfect colour. We tested 3 colours on my forehead and decided to go a bit darker. I like bold things! It was then time time for the blading process. Initially, Hania applied numbing cream and then began to make several cuts ("hair strokes") on either brow. It was then time to apply the freezing gel (as it could now seep into the skin). Once she applied this, the next round of cuts was barely even painful. The initial ones were slightly painful (comparable to getting a small tattoo), but once the freezing gel kicked in, it was SO tolerable. Next, Hania applied the ink/colour to my brows, and kept it on for 10 minutes or so. Wiping the colour off for the big reveal was my favourite part. It was surreal seeing how perfectly full and natural looking my brows were. I could not wipe the smile off my face! So, now I'm set with my fuller, bolder, semi-permanent (good news if brow styles and shapes change) brows that will last me several years. 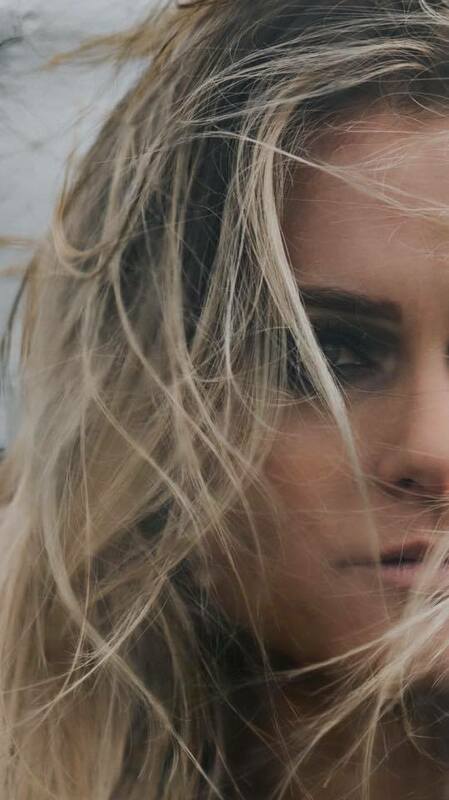 Fun fact: unlike tattoos that go through 7 layers of skin, microblading goes through 3. To celebrate Mother's Day, Hania and I have teamed up for a $100 GIVEAWAY to get your brows done by her! To enter, check out my instagram. If you're located in the Greater Vancouver Area, you DO NOT want to miss out on this amazing opportunity to save huge money on getting fabulous brows of your own!